Brandywine Shoal Light in Delaware Bay is one of the most historic lighthouses ever built in the United States. It is the site of one of the breakthroughs in lighthouse technology and one of the first U.S. lights to use a Fresnel lens. 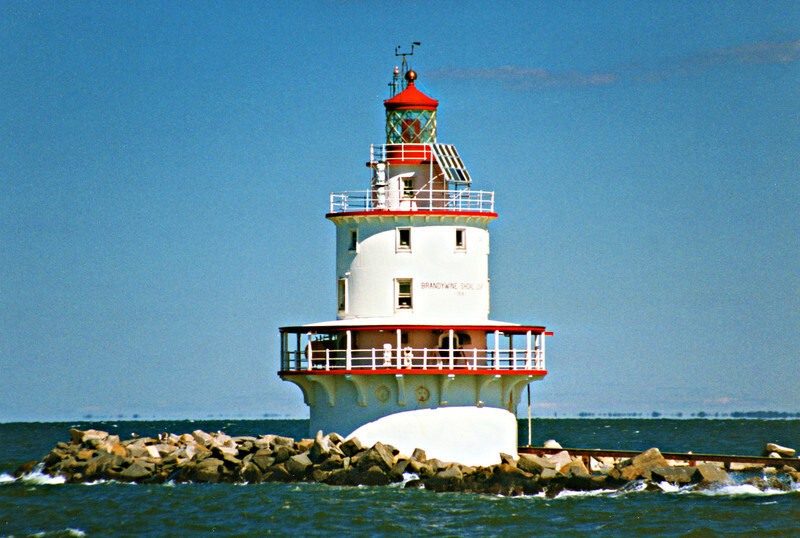 As one of the maritime obstructions along the shipping route to the port of Philadelphia, marking the shoal became an important goal for lighthouse authorities. As early as 1823 one of the first lightships was stationed at the shoal. In 1827 an attempt was made to erect a wooden pile lighthouse on Brandywine Shoal. The structure was seriously damaged before it was completed which required repairs; however the aid only lasted for 12 months before succumbing to the sea. The lightship continued on station at the shoal until the second attempt to erect a lighthouse.